The U.S. embassy is saying no thanks to a wanted Pakistani militant leader who offered aid to Americans hit by superstorm Sandy. 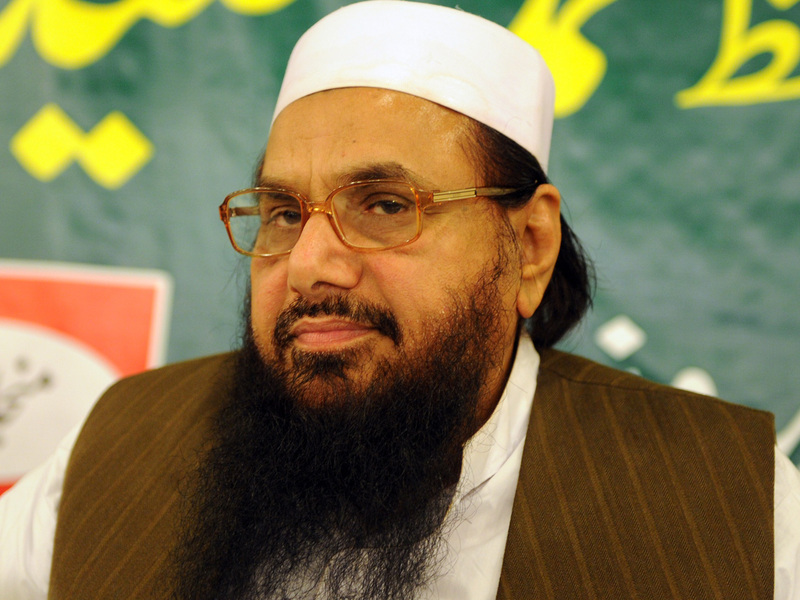 Hafiz Saeed, who is wanted in connection to the 2008 Mumbai attacks, said his charitable organization is willing to send relief, food, medicine and rescue experts if allowed by the United States. Saeed said in a statement posted on Facebook Tuesday, that he considers it a religious obligation to help Americans recovering from the storm, even though the U.S. is offering $10 million for information leading to his arrest or conviction. "Regardless of what US govt. propagates about us including their announcement of bounties, we lookforward [sic] to act on the traits of our Prophet Muhammed SAW by helping and serving American people." The U.S. Embassy in Islamabad reminded its followers on Twitter that Saeed is wanted for suspected involvement in the deadly Mumbai attacks. We respect the Islamic tradition of help to the needy, but we can't take Hafiz Saeed's offer seriously. The State Department placed Saeed on its Rewards for Justice list in April. Officials say he runs Jamaat-ud-Dawa, a charitable organization that is believed to be a front for Lashkar-e-Taiba, a militant group he co-founded. He is suspected of plotting the 2008 Mumbai attacks in India that killed 166 people, including six Americans, as well as masterminding numerous other attacks. Saeed operates openly in Pakistan and responded to the bounty earlier this year by holding a press conference. Analysts have saidthat Pakistan is unlikely to arrest Saeed because of his alleged links with the country's intelligence agency, and the bounty could be a way of pressuring Pakistan to curb his activities. Iran's Red Crescent Organization has also offered emergency aid to cities affected by Sandy, The New York Times reported Wednesday. The Times notes that Red Crescent is closely tied to Iran's government and cables obtained by Wikileaks suggest some aid workers may operate as spies when assisting other countries.